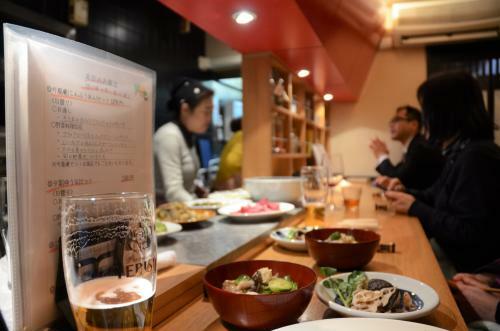 Let’s see… What goes well with alcohol – yakitori, sashimi, aged meat, and cheese? Nope, that’s not all! 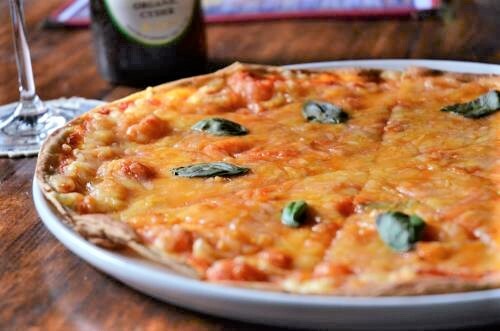 There are many plant-based vegetarian and vegan dishes that can be enjoyed with alcoholic drinks. From all of the restaurants we’ve ever featured in Vegewel Style, we’ve selected the places where you can enjoy some nice drinks with your food! Konfuan is situated in the popular tourist district of Yanesen. It is a unique macrobiotic izakaya (Japanese pub) where you can enjoy fresh seasonal vegetables in the form of a set menu or dishes a la carte. It boasts a wide-ranging fan base, a favorite of the long-time local regulars as well as of the international travelers who stay in the area. The popular menu is the set of three dishes of the day. All of the dishes are free from animal-based ingredients. The vegetable dishes included in the set changes by day depending on what produce they have on hand. *They may use eggs in some of their dishes depending on the day; however, you may request to change the dishes at the time of order. 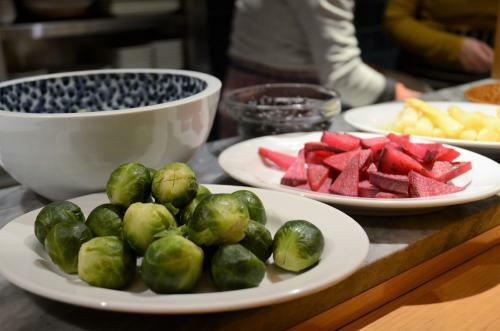 The okami (term used for female hostess), who has knowledge of the macrobiotic practice, makes vegetable dishes that are all mild and comforting. The most coveted seats are at the counter, which indicates the okami’s likable character, and where single visitors can enjoy drinks. Eggs and chicken dishes are also served, so you can go drinking with your non-veg friends as well. Click here for location and detailed information on Yokashikoya Konfuan. Mikawaya is a natural food restaurant established by the third generation of a local liquor store. Dishes are made with ingredients that are free from additives and chemicals, and they also offer vegetarian and vegan options. They also make sure that the meat and fish are cooked in separate pots and oils from the vegetables. Because they are a liquor store, they offer many dishes that pair well with alcoholic drinks. 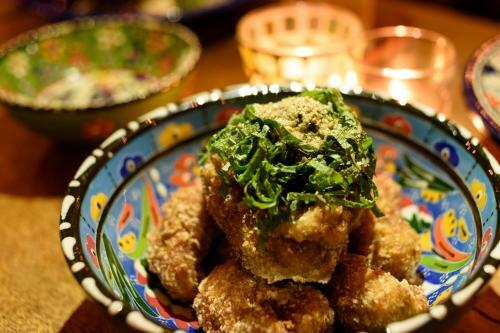 Nonetheless, their Japanese-based home-style cuisine will please your senses and help you relax. The most unique aspect of the Mikayawa is their corkage system. With an additional cork fee to the regular charge, you can enjoy all of the drinks in the restaurant. The corkage is set at 1,000 yen for bottles 700ml and above, and anything less than that is 300 yen. Plus, you get to take home what you couldn’t finish. They have a vast lineup of drinks and they make a point of including organic drinks when obtainable. Click here for location and detailed information on Mikawaya. Thank goodness for modernization! We can now enjoy vegan options at pubs, where it used to be the go-to for junk food. 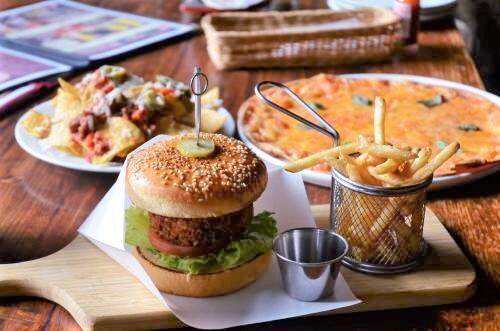 Hobgoblin, a British pub operating in three locations in Japan, began offering vegan menus from April of 2017. The Veggie Burger is only available at the Roppongi location and is made with falafel, the recent trend of late. The burger is healthy but has a powerful taste. Other dishes like the Vegetarian Chili Nachos or the Margherita, that go great with a drink to wash them down with, can also be enjoyed vegan-style! *The nachos are served with a choice of regular or vegan cheese. The pub offers the famous British ale, Hobgoblin, or the Draft Cider which is rarely seen anywhere else. The cider is available by the bottle as well, with even organic choices! 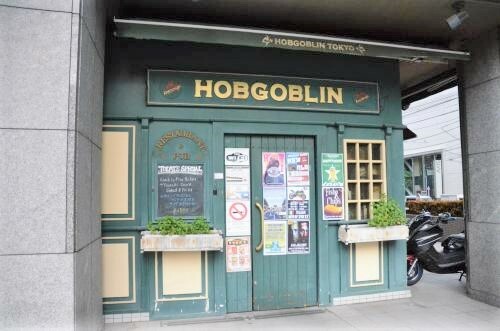 Click here for location and detailed information on Hobgoblin Roppongi. 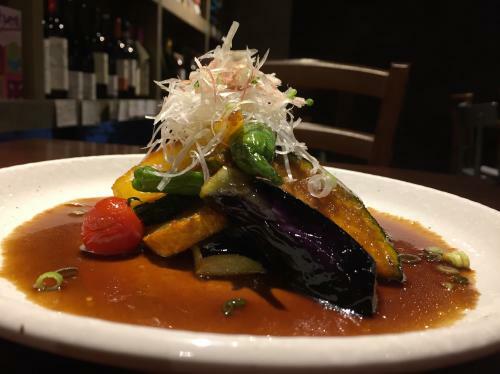 KiboKo is a vegan restaurant which offers comforting food that’ll make you forget the bustle of the busy and populated Shinjuku area. 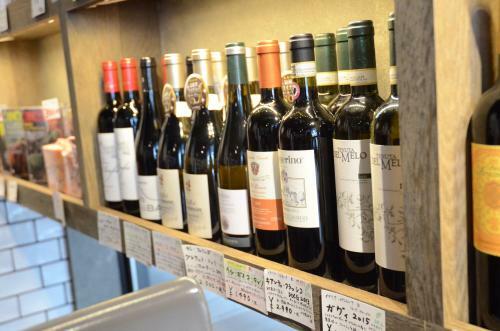 Located in Shinjuku Sanchome, KiboKo offers wines carefully selected by the owner who loves to drink as well as natural foods that pair perfectly with the wine. 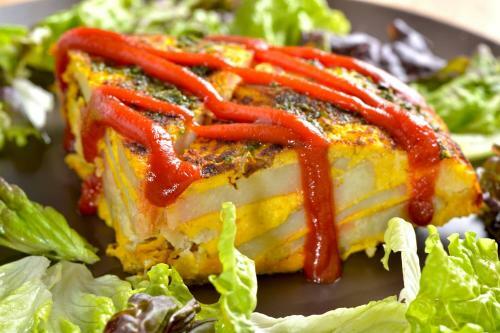 The Spanish Omelette-style dish even fooled a French chef who was unaware of the lack of eggs and left the store a satisfied customer. 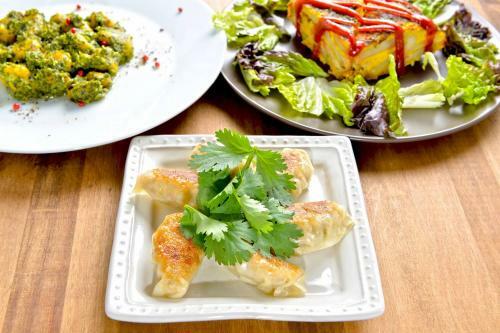 Other offerings include the Cilantro Gyoza, which are made without gokun (five prohibited vegetables of Buddhism) and therefore can be enjoyed by oriental vegetarians, the Trippa (Tripe)-style Stewed Tomato, and other various dishes exclusively prepared by the owner. Step away from the clamor of the big city of Shinjuku and revitalize your energy with the pleasant owner and the delectable wine and food combination! Click here for location and detailed information on KiboKo. 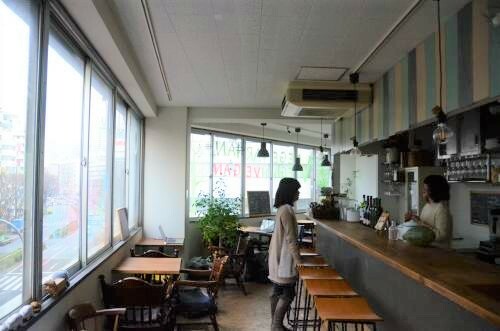 Chikyu wo Tabisuru Café (literally translated as World Traveling Café) recently served as the venue for the Vegewel staff gathering. 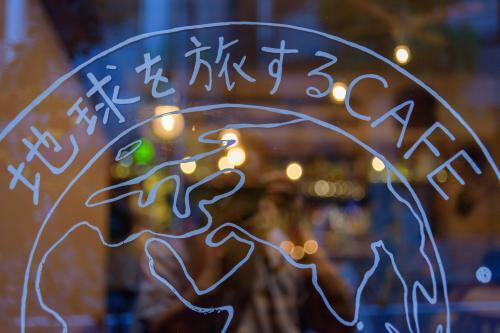 The café offers eclectic cuisine featuring the dishes that the well-traveled owner couple had on their trips abroad. Offering many vegetarian and vegan menus, they live up to their café name where people from all over the world can enjoy the meals together! The tasteful interior, decorated by the owners, exudes a very exotic atmosphere – making you feel as if you are having a meal at a travel destination. 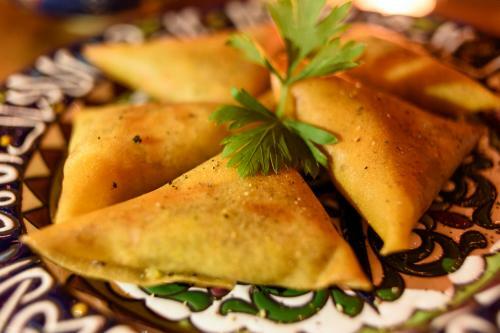 The multi-national menu includes Deep-Fried Soy Meat, Mexican Quesadilla, African Samosa, among others; as such, these dishes offered a great topic of conversation among our staff! *The Mexican Quesadilla is served with a choice of with or without cheese for a vegan option. The food is not complete without some good drinks, and the selection of beers from all across the globe is a must-try! You’ll see many rare beers and it might be a challenge to pick just one, but it’s great fun to be able to pair the beer of your choice with the food that is from a totally different country as that of your beer. You may discover some interesting combinations. Many international visitors come to this wonderful café and it’s usually very lively until the late hours of the evening. 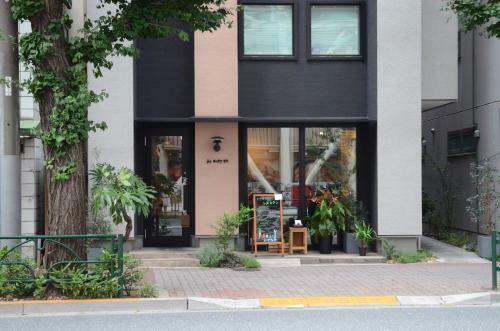 Click here for location and detailed information on Chikyu wo tabisuru CAFE. How did you like our selection? 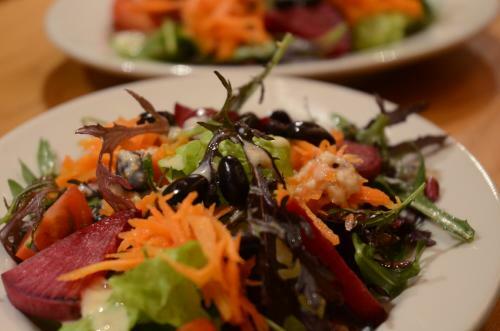 How about planning a healthy gathering at restaurants that focus on serving vegetable-based dishes?